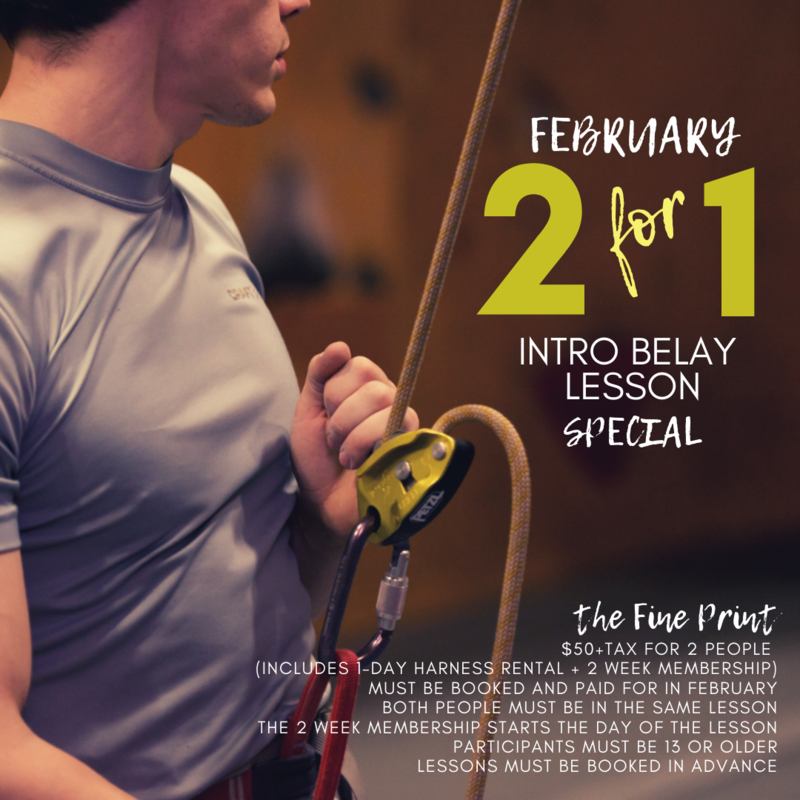 The intro lesson is for people who want to learn how to belay. You will learn how to put on a harness, tie the necessary knots, and belay your climbing partner. The lesson usually takes about 1-2 hours. Participants must be 13 years or older. PLEASE CALL 519-742-1389 TO SCHEDULE A LESSON. LESSONS MUST BE BOOKED AT LEAST 24 HOURS IN ADVANCE.